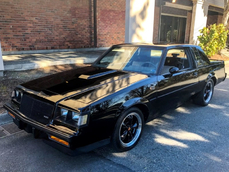 Allgemeine Beschreibung : 1984 Hurst Oldsmobile This is truly a blast from our 80’s past! 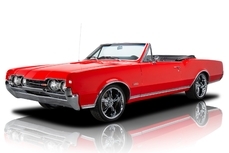 Oldsmobile brought the world back into the muscle car days with a taste of the performance we all love but only made 3,500 of them which has made them very collectible. The 1984 Hurst/Olds Cutlass moniker was resurrected in time for the car’s 15th anniversary and celebrated with this low production run of V8 coupes. 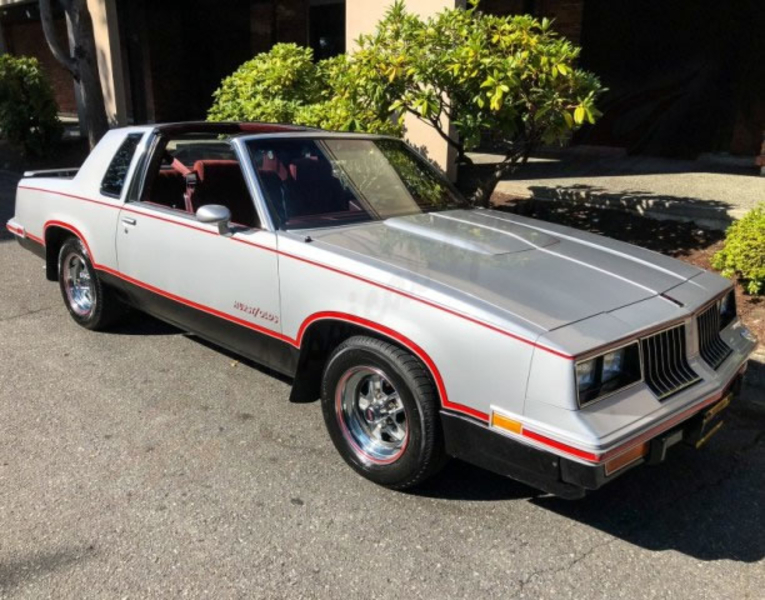 The Hurst Olds was never about being subtle and this ’84 continues the incredible tradition painted in silver with black rally stripes, aggressive spoilers and the hood scoop which let others know this one means business! This Cutlass looks fantastic and has held up well over the last 30+ years with only a few small scratches on the paint. The GM G-body shape works remarkably well with the aggressive Hurst upgrades and removing all the chrome does wonders for the transformation from plush luxury cruiser to street brawler. 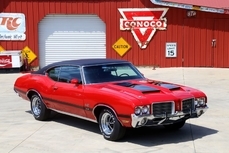 Oldsmobile performance amounted to their rugged, torque-filled, modified and virtually indestructible version of Oldsmobile’s 307 CID V8 which was installed with Hurst’s radical Lightning Rods shifter and tied to 3.73 gearing which gets the power to the pavement. 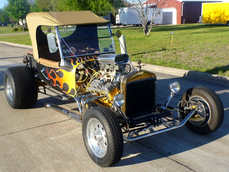 If you choose not to use the Lightning Rods or, on days when you want to take it easy, just simply let the four-speed overdrive automatic shift itself. 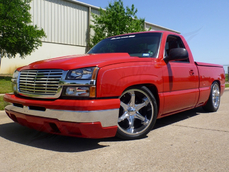 Dual exhausts with rumbling mufflers are like a symphony on wheels to complete the package. Inside the Hurst/Olds received bucket seats, a proper console and the red cloth interior strikes a nice balance between premium and aggressive, especially when it has been this well preserved. 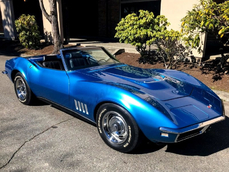 Additional options on this beautiful vehicle are factory air conditioning, AM/FM stereo with cassette, cruise control, power brakes, power steering, power locks, power seats, tilt wheel, cloth interior in amazing condition and like-new radial tires. 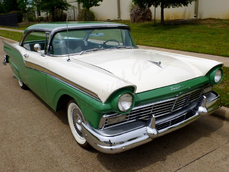 Don’t miss out on this piece of automotive history being offered at only NOW REDUCED DOWN TO $18,900.00! This car is being sold for a collector in the Seattle, Washington area. 1984 Oldsmobile Cutlass 307 V8 is listed zu verkaufen on ClassicDigest in Arlington by Cris & Sherry Lofgren for $18900.